Looking for a dreamy destination to celebrate your honeymoon and commence your married life? If you are keen to spend quality time and get closer to your ally, then it is advisable to plan a trip to the royal state of Rajasthan. Dotted with majestic forts and palaces and patched with serene lakes and pools, Rajasthan can assuredly make your honeymoon dreamy and filmy. The romantic ambience and peaceful environment of these honeymoon destinations in Rajasthan are always set to let you feel the essence of fresh love. What else you would need on your honeymoon trip other than a secluded site and your partner lost in the valleys of your eyes? So, if you are planning your honeymoon anytime during a year, consider visiting to the following destinations. Also known as City of Lakes, Udaipur is the quintessential destination for every couple who is looking forward to making their life a fairy tale. Nothing can beat the beauty of dazzling lakes as they sparkle with a backdrop of royal palaces. Wouldn't you love to spend quality time with your partner and romanticise their surroundings? If yes, then Udaipur is the perfect choice to celebrate your dreamy honeymoon as it can sparkle the love in between both of you, thereby, making stronger bonds. 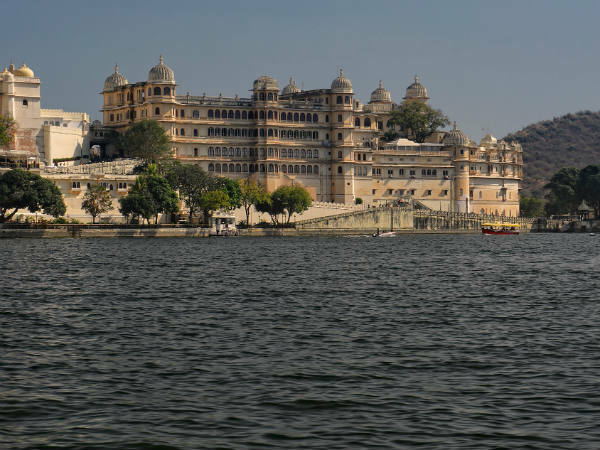 From enjoying the sunset over the lakes to witnessing the best of royal buildings, each and everything carried out within the boundaries of Udaipur is memorable. The major places to visit here include City Palace, Jag Mandir, Lake Palace, Fateh Sagar Lake and Lake Pichola. Another beauty enveloped within the royal land of Rajasthan, Jaisalmer is known as the Golden City on account of its settlement on a ridge of yellow sandstone, which sparkles like a gold. Nestled wonderfully in the midst of the Great Thar Desert, Jaisalmer provides its visitors with a myriad of opportunities to savour its brilliance, ranging from camel rides to royal safaris. If you love enjoying barbeque nights, dance festivals, folk music and vibrant aura, then Jaisalmer is certainly your honeymoon stoppage this season. The major places to visit here include Jaisalmer Fort, Desert National Park, Lodhruva Jain Temple, Bada Bagh and Ganga Sagar Lake. If you love romancing amid lush vegetation and a cool breeze, then Mount Abu should be added to your bucket list of honeymoon destinations. The only hill station in the desert state of Rajasthan, Mount Abu is also known as Shimla of Rajasthan and is one of the mesmerising places in the state. From sitting with your partner atop hills and overlooking its green surroundings to paddling boats in the pristine waters of its lakes, this natural beauty has a lot to offer its visitors. What can be better than enjoying intimacy with your partner amid the heavenly presence of nature? Hence, if you desire to enjoy the beauty of your other half amid freshness and tranquillity, then book your tickets to Mount Abu as soon as possible. The major places to explore here include Nakki Lake, Achalgarh Fort, Dilwara temples and Mount Abu Wildlife Sanctuary. Also known as Blue City on account of its core settlement with most of its houses painted in blue, Jodhpur is a historic town which has been ruled by several dynasties over a period of time. Therefore, you can find numerous ancient buildings within its boundaries, ranging from palaces to forts. However, it is also popular for its rich culture and traditions which are believed to be in existence since their outset. How about mingling with the locals and learning in detail about the beauty of the diverse culture in India while holding your partner in your arms? Doesn't that sound romantic enough to kindle a dreamy love? The major places here include Mehrangarh Fort, Umaid Bhavan Palace, Kaylana Lake, Balsamand Lake and Rao Jodha Desert Rock Park. How about getting spiritual with your partner? Pushkar is one of the religious towns in Rajasthan which are also known for their historical as well as natural beauty. Such is the glamour of Pushkar, that it is visited by every kind of tourist, ranging from picnic goers to history lovers and photographers to devotees. So, why not make a spiritual bond with your life partner and get immersed in the echoing valleys of love? The major places which you should not miss visiting in Pushkar include Pushkar Lake, Brahma Temple, Gautama Maharishi Temple and the ghats of Pushkar lake.